Electro Magnetic Components (EMC) is an ATM spare parts manufacturer that specializes in high quality magnetic card reader heads, rollers, belts, feed shafts and pick lines for ATM maintenance. These ATM replacement parts are high quality US manufactured replacement parts using 100% US materials and labor. 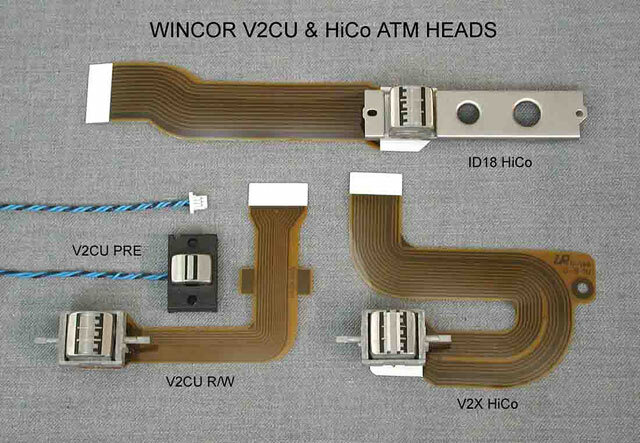 Shown below are pictures and part numbers for magnetic card reader heads used in Wincor ATM motorized card reader maintenance. These ATM spare parts are always in stock and can be shipped the same day we receive your order. EMC has been a magnetic head manufacturer for over 30 years producing magnetic heads used in all types of magnetic head applications. During this period EMC has adapted the company to respond to the changing magnetic head market. 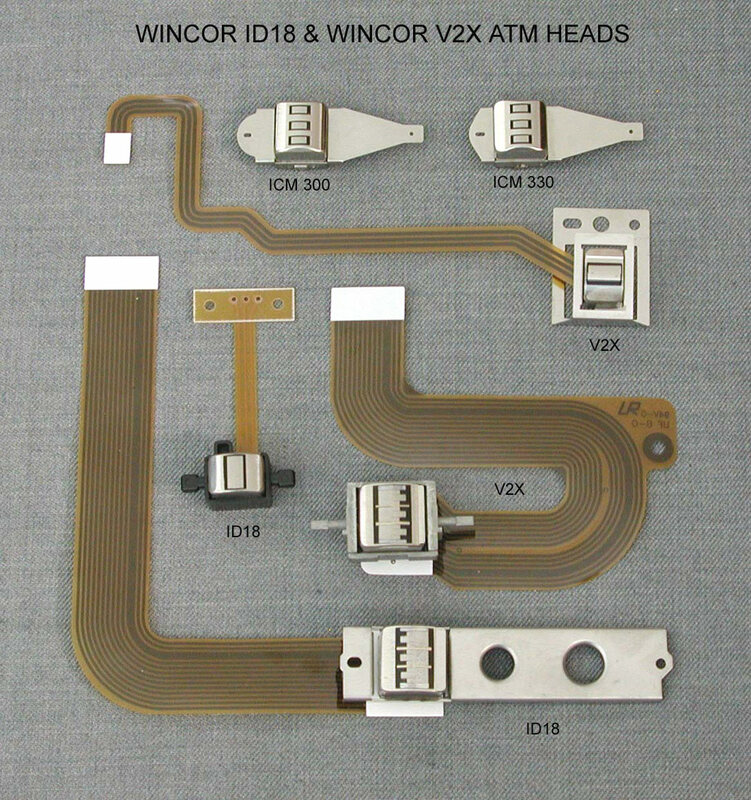 Currently, EMC is focused on being the high quality, price/performance supplier of magnetic head assemblies to the ATM spare parts market offering primarily Diebold ATM parts, NCR ATM parts and Wincor ATM parts. In addition we stock the magnetic heads for Fujitsu, Tranax, Nautilus Hyosung, Triton, Hantle and Tidel.